Mike’s experience at the Financial Accounting Standards Board makes him uniquely valuable in helping our clients understand and appropriately adapt to regulatory changes. Frazier & Deeter, a nationally ranked public accounting and advisory firm, announced today that Mike Cheng has joined the firm as the National Professional Practice Partner in the Accounting & Audit Practice. Cheng comes to Frazier & Deeter from the Financial Accounting Standards Board (FASB), where he served as the Private Company Council (PCC) Coordinator. In that role he was responsible for all PCC related matters. Cheng was also the staff lead on FASB projects to: simplify the accounting for nonemployee share-based payments, help shape the future of the FASB technical agenda and improve consolidations guidance (VIE guidance). Most recently, Cheng worked on the FASB’s implementation team on revenue recognition (ASC Topic 606) and lease accounting (ASC Topic 842). 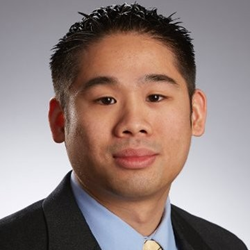 Prior to joining the FASB, Cheng held various management positions with PricewaterhouseCoopers (PwC), where he was a member of the audit practice from 2003 - 2012. Cheng earned his Bachelor of Science degree in Accounting with a concentration in Finance from Binghamton University in Binghamton, New York.